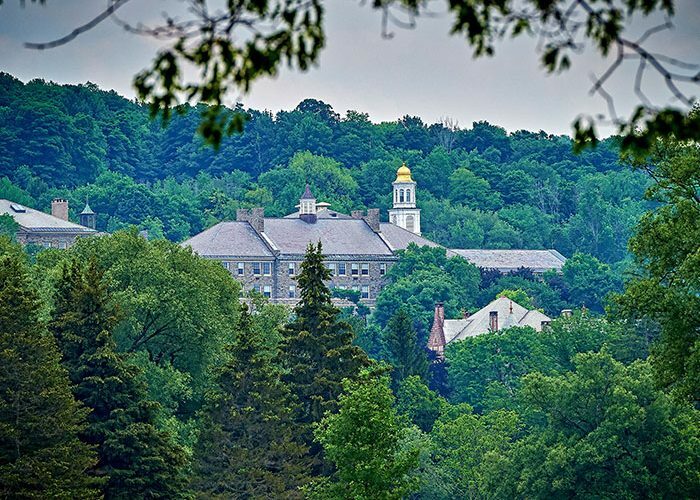 A working group of the University’s Sustainability Council researched approximately 50 projects from 20 different suppliers, evaluating their effectiveness, social and ecological benefits, cost, capacity for increased learning experiences for Colgate students. “I’m particularly excited about offsets with a local Seneca Falls, N.Y., landfill-to-gas energy project. It was exciting to hear students in discussions express that local offsets were important — to benefit our immediate community — and then see the committee create a plan accordingly, focused on ideas from the campus community,” said committee member Christina Weiler ’21. Seneca Meadows landfill gas to energy (New York): This Waterloo, N.Y., project, supported by NativeEnergy, helps to fund a methane capture system for 413 landfill gas extraction wells to generate 18 megawatts of electricity. Importantly, the project also protects a wetlands preserve that is home to more than 215 species of birds. According to the project managers, this effort generates enough electricity to power more than 20,000 homes and businesses. May Ranch Avoided Grassland Conservation (Colorado): This carbon sequestration and conservation project protects more than 14,500 acres of native grasslands in Prowers County, Colo. These native grasslands provide critical habitat for a number of migratory birds and other wildlife, including endangered species. Preservation work like the ranch project helps to prevent the release of carbon sequestered in the soils while also serving to protect and enhance one of the most endangered ecosystems in the country. Rimba Raya Biodiversity Reserve (Indonesia): With the development of palm oil plantations threatening endangered Borneo Orangutan, and the potential destruction of carbon-dense tropical peat swamps, this United Nations–supported project, by Natural Capital Partners, shields roughly 160,000 acres of forest from development for oil production. Danjiang River Solar Cookers (China): This project aims to reduce coal consumption, and the resulting carbon emissions, by installing solar cookers in nearly 100,000 households. The solar cookers also help to reduce air pollution and related respiratory diseases that stem from coal use. Renewable Energy Certificates – RECs (United States): To further support renewable energy in the United States, Colgate has purchased renewable energy certificates (RECs) from the Greenlight Energy Group, the first woman-owned renewable energy marketing company in the United States. Colgate’s purchase of Green-e certified RECs means that 100 percent of our electricity is supplied from renewable energy that meets the highest environmental benefits. The total cost of RECs, and the four new offset projects for 2019 is about $61,000.